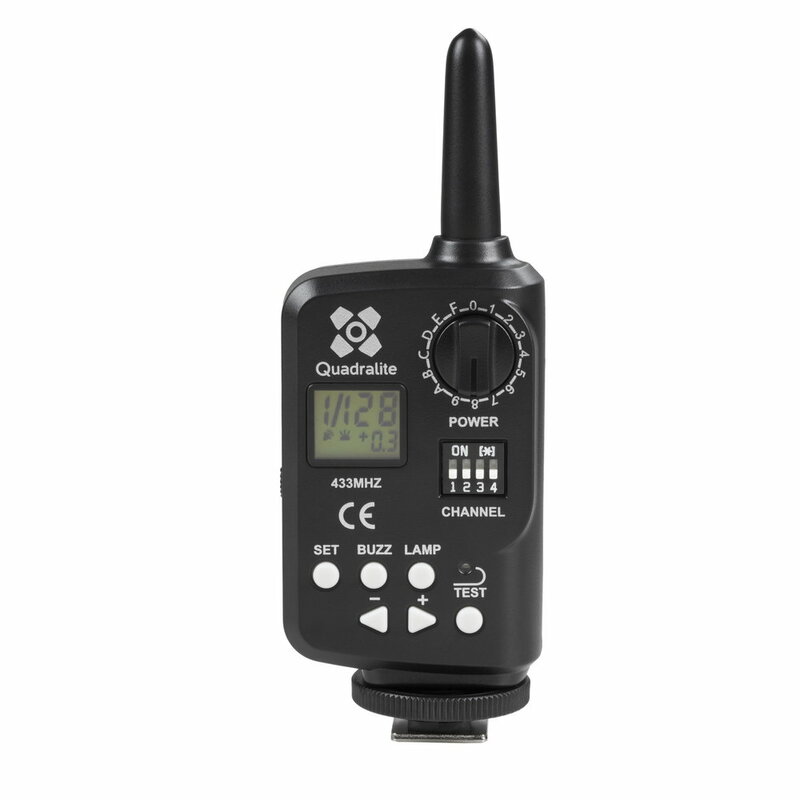 Quadralite Navigator is a wireless control and triggering system for Quadralite studio flashes. It uses radio waves (433 MHz) and operates on one of 16 channels. It allows for smooth, undisturbed and simultaneous operation of one or many flashes from the distance of up to several dozen meters. With Quadralite Navigator you can divide your flash into groups (up to 16 groups), remotely adjust flash output and trigger test flashes. 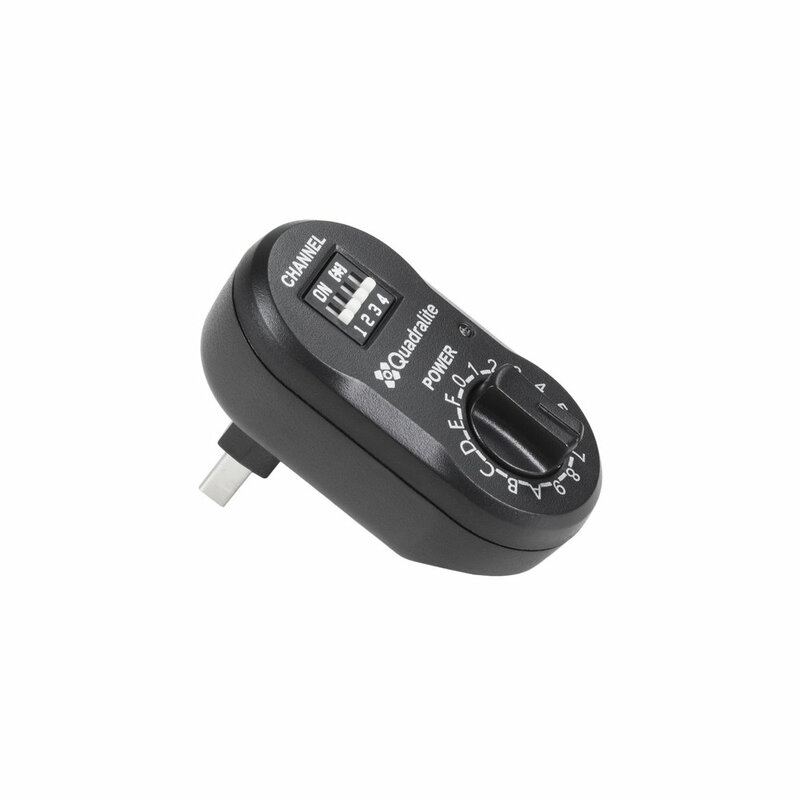 The shortest exposure time for Stroboss Navigator is 1/250s. Quadralite Navigator transmitter is fitted with a standard ISO hot-shoe. Therefore, it is compatible with cameras featuring this type of accessories mount (DSLR, mirrorless cameras and compact cameras, including: Canon, Nikon, Pentax, Olympus, Fujifilm, Sony, and other brands). 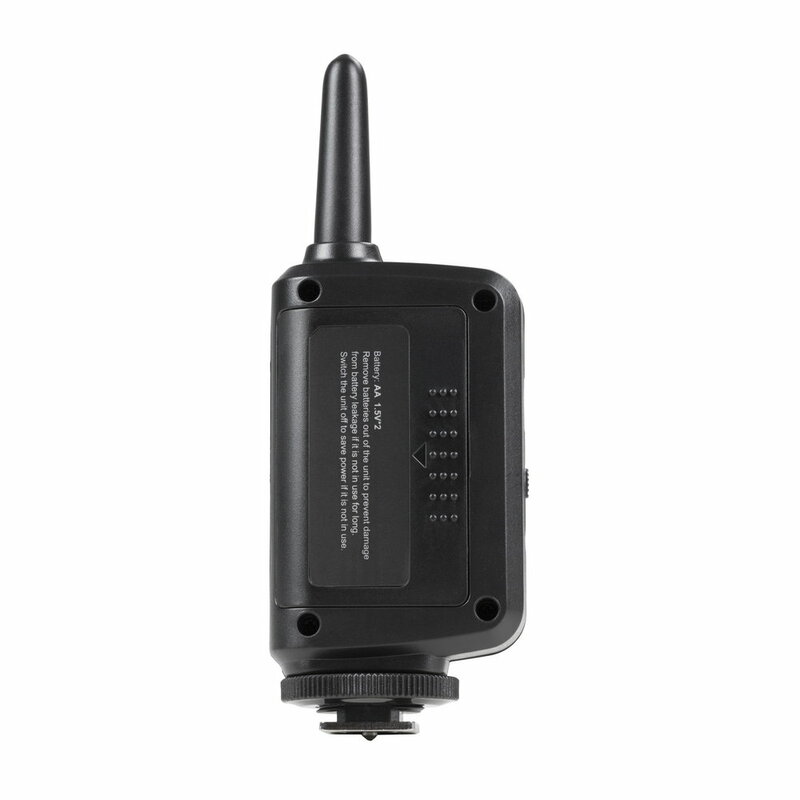 The transmitter has a small LCD screen with current flash parameters displayed. 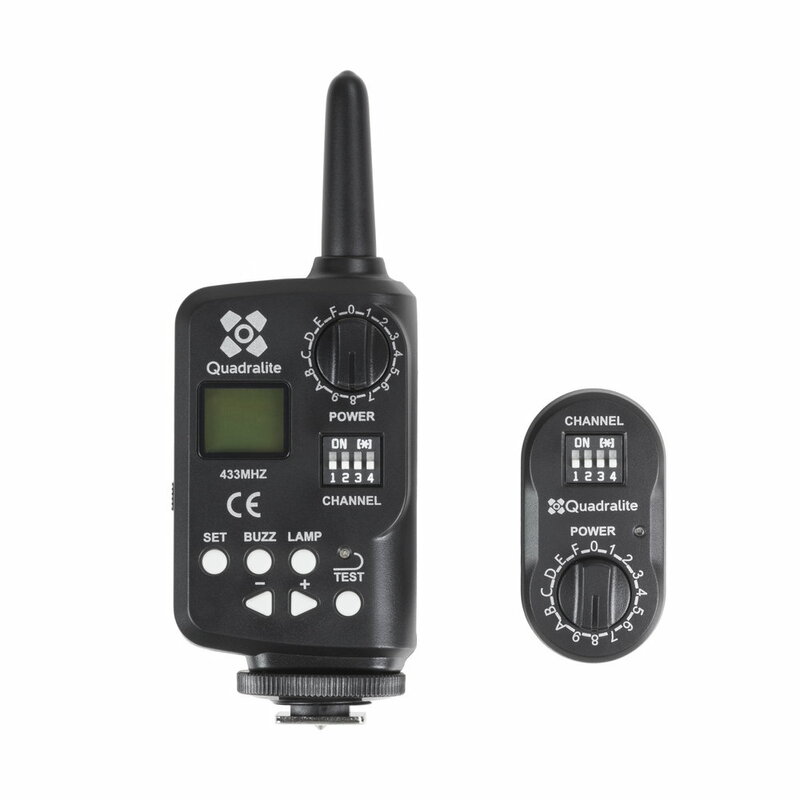 Quadralite Navigator kit comes with the transmitter powered through two AA 1.5V batteries and the receiver which draws energy from the radio socket located in the flash.